You’ve found Mateja Petje! A Stress Management Coach & Spiritual Counselor likewise she is also a Licensed Marriage and Family Therapist. Furthermore, Mateja is fully trained as a Certified Neuro-Linguistic Programming Practitioner. 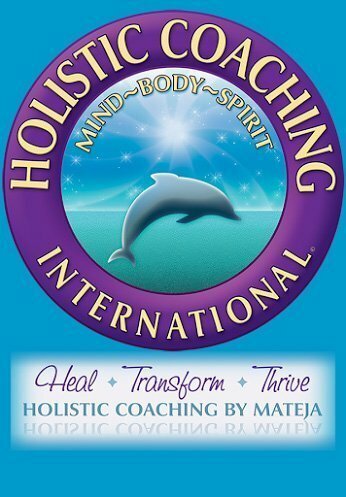 Mateja is also CEO and Founder of Holistic Coaching International. This is a mind, body and spirit coaching practice. Most of all, one that is designed to help you achieve more balance in your life. Consequently, her passion is to help you heal from abuse, trauma, depression, anxiety, PTSD, and challenging relationships. Ask Mateja, a Trauma Specialist, how she also helps you to get rid of stress in a matter of a few sessions or even minutes! As a result, you can lead a more fulfilling life. Opt-In and Join Our Transformational Healing Journey Today! When I came to see Mateja few months ago, I was experiencing all these symptoms. I was overwhelmed with changes at work and parenting. But I continued to work until one day I just broke down and wanted to put myself out of misery. See I knew I needed help and thank God I reached out and met Mateja. The most important thing for me was to get professional help. For months I tried to get better on my own. Now I wish I had reached out for help sooner. “My life changed all of a sudden and I got stuck in the awful world of depression and anxiety. I wasn’t able to work for two months and that was a horrifying time thinking that I was losing my mind and that it was going to be the end for me. But I never felt like that before and every day I was sinking more and more trying to push through without success. I tried therapy before but the experiences were not helpful. So I continued searching until I found Mateja. It was like an angel sent from heaven. She helped to be confident, to get rid of insecurities, to stop being so hard on my self, to be reborn again leaving the past in the past and all the bad and hurtful experiences. Mateja is very professional and committed to helping you asking the same commitment from patients. She gave me tools that helped me to understand a new world of renovation and embrace a new beginning full of positive possibilities. I am practicing meditation today, healthy eating, positive self talking and a lot more that she gave me to be a new person. My life changed, spiritually, internally and I would love for people that need help to don’t hesitate and work with Mateja, SHE IS THE BEST. Thank you!! Adriana F.
Holistic Coaching International (“us”, “we”, or “our”) operates the https://naturalstressmanagement.com website (the “Service”).